With Incentives like these-- this one is hard to pass up! 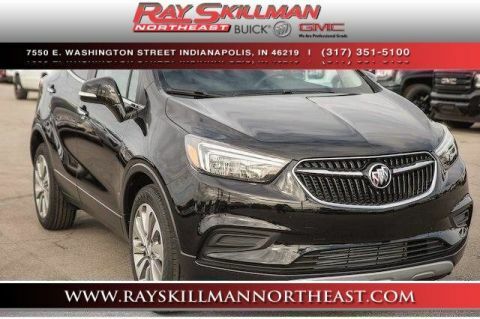 You will love driving this 2019BuickEncore with Standard features include: Bluetooth, Remote power door locks, Power windows with 4 one-touch, Automatic Transmission, 4-wheel ABS brakes, Compressor - Intercooled turbo, Air conditioning, Cruise control, Audio controls on steering wheel, Traction control - ABS and driveline, 1.4 liter inline 4 cylinder DOHC engine, 138 hp horsepower, 6-way power adjustable drivers seat, Head airbags - Curtain 1st and 2nd row, Passenger Airbag, Power heated mirrors, Tilt and telescopic steering wheel, 4 Doors, Front-wheel drive, Fuel economy EPA highway (mpg): 30 and EPA city (mpg): 25, Compass, External temperature display, Tachometer, Clock - In-radio display, Daytime running lights, Dusk sensing headlights, Front seat type - Bucket, Interior air filtration, Intermittent window wipers, Keyless Ignition - Doors and push button start, Knee airbags - Driver and passenger, Privacy/tinted glass, Rear bench seats, Rear wiper, Signal mirrors - Turn signal in mirrors, Speed-proportional power steering, Tire pressure monitoring system, Trip computer, Video Monitor Location - Front.... With our guaranteed approval program, you can drive home today in the style you deserve! With Incentives like these-- this one is hard to pass up! 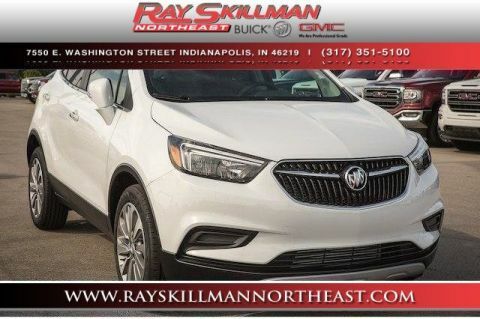 You will love driving this 2019BuickEncore with Standard features include: Bluetooth, Remote power door locks, Power windows with 4 one-touch, Automatic Transmission, Compressor - Intercooled turbo, 4-wheel ABS brakes, Air conditioning, Cruise control, Audio controls on steering wheel, Traction control - ABS and driveline, Passenger Airbag, Power heated mirrors, Tilt and telescopic steering wheel, 6-way power adjustable drivers seat, Head airbags - Curtain 1st and 2nd row, 1.4 liter inline 4 cylinder DOHC engine, 138 hp horsepower, 4 Doors, Front-wheel drive, Fuel economy EPA highway (mpg): 33 and EPA city (mpg): 25, Tachometer, External temperature display, Compass, Clock - In-radio display, Signal mirrors - Turn signal in mirrors, Interior air filtration, Trip computer, Video Monitor Location - Front, Speed-proportional power steering, Keyless Ignition - Doors and push button start, Tire pressure monitoring system, Knee airbags - Driver and passenger, Daytime running lights, Dusk sensing headlights, Front seat type - Bucket, Rear bench seats, Intermittent window wipers, Privacy/tinted glass, Rear wiper.... With our guaranteed approval program, you can drive home today in the style you deserve! With Incentives like these-- this one is hard to pass up! You will love driving this 2019BuickEncore with Standard features include: Bluetooth, Remote power door locks, Power windows with 4 one-touch, Automatic Transmission, Compressor - Intercooled turbo, 4-wheel ABS brakes, Air conditioning, Cruise control, Audio controls on steering wheel, Traction control - ABS and driveline, 6-way power adjustable drivers seat, Head airbags - Curtain 1st and 2nd row, Passenger Airbag, 1.4 liter inline 4 cylinder DOHC engine, 138 hp horsepower, Power heated mirrors, Tilt and telescopic steering wheel, 4 Doors, Front-wheel drive, Fuel economy EPA highway (mpg): 33 and EPA city (mpg): 25, Tachometer, External temperature display, Compass, Interior air filtration, Clock - In-radio display, Trip computer, Video Monitor Location - Front, Speed-proportional power steering, Keyless Ignition - Doors and push button start, Tire pressure monitoring system, Daytime running lights, Dusk sensing headlights, Signal mirrors - Turn signal in mirrors, Knee airbags - Driver and passenger, Front seat type - Bucket, Rear bench seats, Intermittent window wipers, Privacy/tinted glass, Rear wiper.... With our guaranteed approval program, you can drive home today in the style you deserve! With Incentives like these-- this one is hard to pass up! You will love driving this 2019BuickEncore with Standard features include: Bluetooth, Remote power door locks, Power windows with 4 one-touch, Automatic Transmission, Compressor - Intercooled turbo, 4-wheel ABS brakes, Air conditioning, Cruise control, Audio controls on steering wheel, Traction control - ABS and driveline, Power heated mirrors, Tilt and telescopic steering wheel, 6-way power adjustable drivers seat, Head airbags - Curtain 1st and 2nd row, Passenger Airbag, 1.4 liter inline 4 cylinder DOHC engine, 138 hp horsepower, 4 Doors, Front-wheel drive, Fuel economy EPA highway (mpg): 33 and EPA city (mpg): 25, External temperature display, Tachometer, Compass, Clock - In-radio display, Signal mirrors - Turn signal in mirrors, Knee airbags - Driver and passenger, Daytime running lights, Dusk sensing headlights, Front seat type - Bucket, Rear bench seats, Intermittent window wipers, Privacy/tinted glass, Rear wiper, Keyless Ignition - Doors and push button start, Tire pressure monitoring system, Interior air filtration, Trip computer, Video Monitor Location - Front, Speed-proportional power steering.... With our guaranteed approval program, you can drive home today in the style you deserve! With Incentives like these-- this one is hard to pass up! You will love driving this 2019BuickEncore with Standard features include: Bluetooth, Remote power door locks, Power windows with 4 one-touch, Automatic Transmission, Compressor - Intercooled turbo, 4-wheel ABS brakes, Air conditioning, Cruise control, Audio controls on steering wheel, Traction control - ABS and driveline, 6-way power adjustable drivers seat, 1.4 liter inline 4 cylinder DOHC engine, 138 hp horsepower, Head airbags - Curtain 1st and 2nd row, Passenger Airbag, Power heated mirrors, Tilt and telescopic steering wheel, Front-wheel drive, Fuel economy EPA highway (mpg): 33 and EPA city (mpg): 25, 4 Doors, Compass, External temperature display, Tachometer, Keyless Ignition - Doors and push button start, Tire pressure monitoring system, Speed-proportional power steering, Interior air filtration, Trip computer, Video Monitor Location - Front, Daytime running lights, Dusk sensing headlights, Signal mirrors - Turn signal in mirrors, Knee airbags - Driver and passenger, Front seat type - Bucket, Rear bench seats, Intermittent window wipers, Privacy/tinted glass, Rear wiper, Clock - In-radio display.... With our guaranteed approval program, you can drive home today in the style you deserve! With Incentives like these-- this one is hard to pass up! You will love driving this 2019BuickEncore with Standard features include: Bluetooth, Remote power door locks, Power windows with 4 one-touch, Automatic Transmission, Compressor - Intercooled turbo, 4-wheel ABS brakes, Air conditioning, Cruise control, Audio controls on steering wheel, Traction control - ABS and driveline, 6-way power adjustable drivers seat, Head airbags - Curtain 1st and 2nd row, Passenger Airbag, Tilt and telescopic steering wheel, Power heated mirrors, 1.4 liter inline 4 cylinder DOHC engine, 138 hp horsepower, 4 Doors, Front-wheel drive, Fuel economy EPA highway (mpg): 33 and EPA city (mpg): 25, Compass, Tachometer, External temperature display, Keyless Ignition - Doors and push button start, Tire pressure monitoring system, Interior air filtration, Clock - In-radio display, Signal mirrors - Turn signal in mirrors, Knee airbags - Driver and passenger, Daytime running lights, Dusk sensing headlights, Front seat type - Bucket, Rear bench seats, Intermittent window wipers, Privacy/tinted glass, Rear wiper, Trip computer, Video Monitor Location - Front, Speed-proportional power steering.... With our guaranteed approval program, you can drive home today in the style you deserve! With Incentives like these-- this one is hard to pass up! You will love driving this 2019BuickEncore with Standard features include: Bluetooth, Remote power door locks, Power windows with 4 one-touch, Automatic Transmission, Compressor - Intercooled turbo, 4-wheel ABS brakes, Air conditioning, Cruise control, Audio controls on steering wheel, Traction control - ABS and driveline, 6-way power adjustable drivers seat, Passenger Airbag, Power heated mirrors, Tilt and telescopic steering wheel, Head airbags - Curtain 1st and 2nd row, 1.4 liter inline 4 cylinder DOHC engine, 138 hp horsepower, 4 Doors, Front-wheel drive, Fuel economy EPA highway (mpg): 33 and EPA city (mpg): 25, Tachometer, Compass, External temperature display, Keyless Ignition - Doors and push button start, Tire pressure monitoring system, Knee airbags - Driver and passenger, Daytime running lights, Dusk sensing headlights, Interior air filtration, Clock - In-radio display, Speed-proportional power steering, Signal mirrors - Turn signal in mirrors, Front seat type - Bucket, Rear bench seats, Intermittent window wipers, Privacy/tinted glass, Rear wiper, Trip computer, Video Monitor Location - Front.... With our guaranteed approval program, you can drive home today in the style you deserve! With Incentives like these-- this one is hard to pass up! You will love driving this 2019BuickEncore with Standard features include: Bluetooth, Remote power door locks, Power windows with 4 one-touch, Automatic Transmission, Compressor - Intercooled turbo, 4-wheel ABS brakes, Air conditioning, Cruise control, Audio controls on steering wheel, Traction control - ABS and driveline, 6-way power adjustable drivers seat, Passenger Airbag, Head airbags - Curtain 1st and 2nd row, Power heated mirrors, Tilt and telescopic steering wheel, 1.4 liter inline 4 cylinder DOHC engine, 138 hp horsepower, 4 Doors, Front-wheel drive, Fuel economy EPA highway (mpg): 33 and EPA city (mpg): 25, Tachometer, External temperature display, Compass, Clock - In-radio display, Interior air filtration, Trip computer, Video Monitor Location - Front, Speed-proportional power steering, Keyless Ignition - Doors and push button start, Tire pressure monitoring system, Knee airbags - Driver and passenger, Daytime running lights, Dusk sensing headlights, Signal mirrors - Turn signal in mirrors, Front seat type - Bucket, Rear bench seats, Intermittent window wipers, Privacy/tinted glass, Rear wiper.... With our guaranteed approval program, you can drive home today in the style you deserve! With Incentives like these-- this one is hard to pass up! 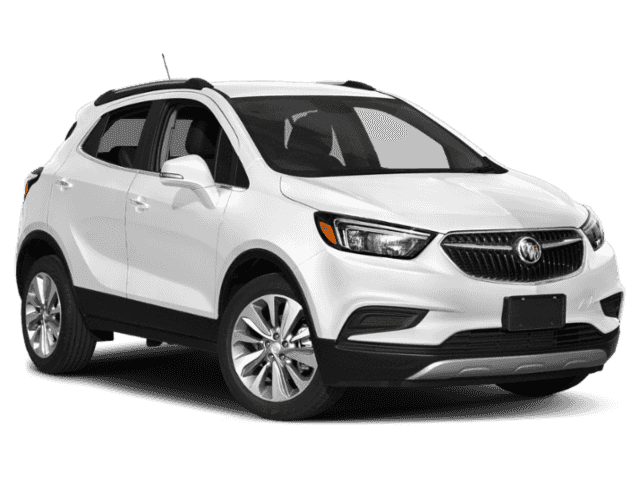 You will love driving this 2019BuickEncore with Standard features include: Bluetooth, Remote power door locks, Power windows with 4 one-touch, Automatic Transmission, Compressor - Intercooled turbo, 4-wheel ABS brakes, Air conditioning, Cruise control, Audio controls on steering wheel, Traction control - ABS and driveline, Tilt and telescopic steering wheel, 6-way power adjustable drivers seat, Passenger Airbag, Power heated mirrors, Head airbags - Curtain 1st and 2nd row, 1.4 liter inline 4 cylinder DOHC engine, 138 hp horsepower, 4 Doors, Front-wheel drive, Fuel economy EPA highway (mpg): 33 and EPA city (mpg): 25, External temperature display, Compass, Tachometer, Trip computer, Video Monitor Location - Front, Speed-proportional power steering, Clock - In-radio display, Interior air filtration, Signal mirrors - Turn signal in mirrors, Front seat type - Bucket, Rear bench seats, Intermittent window wipers, Privacy/tinted glass, Rear wiper, Keyless Ignition - Doors and push button start, Tire pressure monitoring system, Knee airbags - Driver and passenger, Daytime running lights, Dusk sensing headlights.... With our guaranteed approval program, you can drive home today in the style you deserve! With Incentives like these-- this one is hard to pass up! You will love driving this 2019BuickEncore with Standard features include: Bluetooth, Remote power door locks, Power windows with 4 one-touch, Automatic Transmission, Compressor - Intercooled turbo, 4-wheel ABS brakes, Air conditioning, Cruise control, Audio controls on steering wheel, Traction control - ABS and driveline, Tilt and telescopic steering wheel, 6-way power adjustable drivers seat, Power heated mirrors, 1.4 liter inline 4 cylinder DOHC engine, 138 hp horsepower, Head airbags - Curtain 1st and 2nd row, Passenger Airbag, Front-wheel drive, Fuel economy EPA highway (mpg): 33 and EPA city (mpg): 25, 4 Doors, Tachometer, External temperature display, Compass, Interior air filtration, Speed-proportional power steering, Front seat type - Bucket, Rear bench seats, Intermittent window wipers, Privacy/tinted glass, Rear wiper, Clock - In-radio display, Daytime running lights, Dusk sensing headlights, Signal mirrors - Turn signal in mirrors, Knee airbags - Driver and passenger, Keyless Ignition - Doors and push button start, Tire pressure monitoring system, Trip computer, Video Monitor Location - Front.... With our guaranteed approval program, you can drive home today in the style you deserve! With Incentives like these-- this one is hard to pass up! You will love driving this 2019BuickEncore with Standard features include: Bluetooth, Remote power door locks, Power windows with 4 one-touch, Automatic Transmission, Compressor - Intercooled turbo, 4-wheel ABS brakes, Air conditioning, Cruise control, Audio controls on steering wheel, Traction control - ABS and driveline, 6-way power adjustable drivers seat, Head airbags - Curtain 1st and 2nd row, Passenger Airbag, Power heated mirrors, Tilt and telescopic steering wheel, 1.4 liter inline 4 cylinder DOHC engine, 138 hp horsepower, 4 Doors, Front-wheel drive, Fuel economy EPA highway (mpg): 33 and EPA city (mpg): 25, Tachometer, External temperature display, Compass, Keyless Ignition - Doors and push button start, Tire pressure monitoring system, Clock - In-radio display, Signal mirrors - Turn signal in mirrors, Knee airbags - Driver and passenger, Daytime running lights, Dusk sensing headlights, Front seat type - Bucket, Rear bench seats, Intermittent window wipers, Privacy/tinted glass, Rear wiper, Interior air filtration, Trip computer, Video Monitor Location - Front, Speed-proportional power steering.... With our guaranteed approval program, you can drive home today in the style you deserve! With Incentives like these-- this one is hard to pass up! You will love driving this 2019BuickEncore with Standard features include: Bluetooth, Remote power door locks, Power windows with 4 one-touch, Automatic Transmission, Compressor - Intercooled turbo, 4-wheel ABS brakes, Air conditioning, Cruise control, Audio controls on steering wheel, Traction control - ABS and driveline, 6-way power adjustable drivers seat, 1.4 liter inline 4 cylinder DOHC engine, 138 hp horsepower, Head airbags - Curtain 1st and 2nd row, Passenger Airbag, Power heated mirrors, Tilt and telescopic steering wheel, Front-wheel drive, Fuel economy EPA highway (mpg): 33 and EPA city (mpg): 25, 4 Doors, External temperature display, Compass, Tachometer, Interior air filtration, Speed-proportional power steering, Trip computer, Video Monitor Location - Front, Daytime running lights, Dusk sensing headlights, Signal mirrors - Turn signal in mirrors, Knee airbags - Driver and passenger, Front seat type - Bucket, Rear bench seats, Intermittent window wipers, Privacy/tinted glass, Rear wiper, Clock - In-radio display, Keyless Ignition - Doors and push button start, Tire pressure monitoring system.... With our guaranteed approval program, you can drive home today in the style you deserve! With Incentives like these-- this one is hard to pass up! 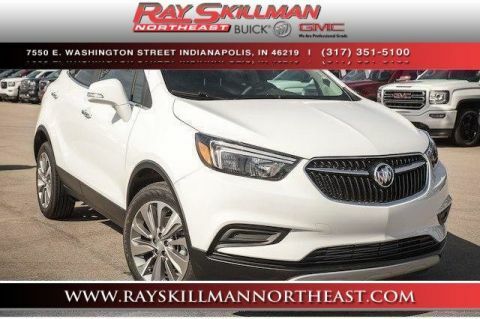 You will love driving this 2019BuickEncore with Standard features include: Bluetooth, Remote power door locks, Power windows with 4 one-touch, Automatic Transmission, 4-wheel ABS brakes, Compressor - Intercooled turbo, Air conditioning, Cruise control, Audio controls on steering wheel, Traction control - ABS and driveline, 1.4 liter inline 4 cylinder DOHC engine, 138 hp horsepower, 6-way power adjustable drivers seat, Head airbags - Curtain 1st and 2nd row, Passenger Airbag, Power heated mirrors, Tilt and telescopic steering wheel, 4 Doors, Front-wheel drive, Fuel economy EPA highway (mpg): 30 and EPA city (mpg): 25, Compass, External temperature display, Tachometer, Clock - In-radio display, Daytime running lights, Dusk sensing headlights, Front seat type - Bucket, Interior air filtration, Keyless Ignition - Doors and push button start, Knee airbags - Driver and passenger, Rear bench seats, Rear spoiler - Lip, Signal mirrors - Turn signal in mirrors, Speed-proportional power steering, Stability control, Tire pressure monitoring system, Transmission hill holder, Trip computer, Video Monitor Location - Front.... With our guaranteed approval program, you can drive home today in the style you deserve! With Incentives like these-- this one is hard to pass up! 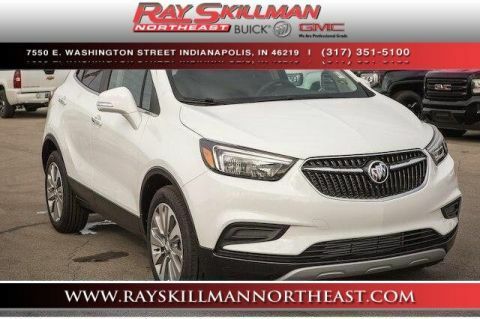 You will love driving this 2019BuickEncore with Standard features include: Bluetooth, Remote power door locks, Power windows with 4 one-touch, Automatic Transmission, 4-wheel ABS brakes, Compressor - Intercooled turbo, Air conditioning, Cruise control, Audio controls on steering wheel, Traction control - ABS and driveline, 1.4 liter inline 4 cylinder DOHC engine, 138 hp horsepower, 6-way power adjustable drivers seat, Head airbags - Curtain 1st and 2nd row, Passenger Airbag, Power heated mirrors, Tilt and telescopic steering wheel, 4 Doors, Front-wheel drive, Fuel economy EPA highway (mpg): 33 and EPA city (mpg): 25, Compass, External temperature display, Tachometer, Clock - In-radio display, Daytime running lights, Dusk sensing headlights, Front seat type - Bucket, Interior air filtration, Intermittent window wipers, Keyless Ignition - Doors and push button start, Knee airbags - Driver and passenger, Privacy/tinted glass, Rear bench seats, Rear wiper, Signal mirrors - Turn signal in mirrors, Speed-proportional power steering, Tire pressure monitoring system, Trip computer, Video Monitor Location - Front.... With our guaranteed approval program, you can drive home today in the style you deserve! With Incentives like these-- this one is hard to pass up! You will love driving this 2019BuickEncore with Standard features include: Bluetooth, Remote power door locks, Power windows with 4 one-touch, Automatic Transmission, Compressor - Intercooled turbo, 4-wheel ABS brakes, Air conditioning, Cruise control, Audio controls on steering wheel, Traction control - ABS and driveline, Power heated mirrors, Tilt and telescopic steering wheel, 6-way power adjustable drivers seat, 1.4 liter inline 4 cylinder DOHC engine, 138 hp horsepower, Head airbags - Curtain 1st and 2nd row, Passenger Airbag, Front-wheel drive, Fuel economy EPA highway (mpg): 33 and EPA city (mpg): 25, 4 Doors, Tachometer, External temperature display, Compass, Keyless Ignition - Doors and push button start, Tire pressure monitoring system, Daytime running lights, Dusk sensing headlights, Signal mirrors - Turn signal in mirrors, Knee airbags - Driver and passenger, Front seat type - Bucket, Rear bench seats, Intermittent window wipers, Privacy/tinted glass, Rear wiper, Clock - In-radio display, Interior air filtration, Speed-proportional power steering, Trip computer, Video Monitor Location - Front.... With our guaranteed approval program, you can drive home today in the style you deserve! With Incentives like these-- this one is hard to pass up! 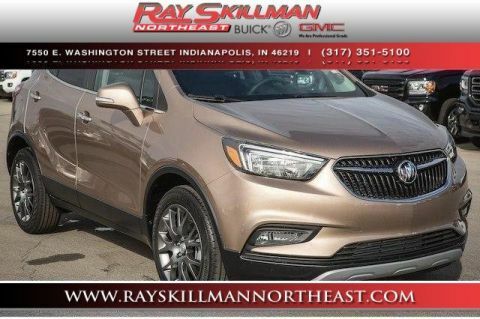 You will love driving this 2019BuickEncore with Standard features include: Bluetooth, Remote power door locks, Power windows with 4 one-touch, Automatic Transmission, Compressor - Intercooled turbo, 4-wheel ABS brakes, Air conditioning, Cruise control, Audio controls on steering wheel, Traction control - ABS and driveline, Power heated mirrors, Tilt and telescopic steering wheel, 6-way power adjustable drivers seat, Head airbags - Curtain 1st and 2nd row, Passenger Airbag, 1.4 liter inline 4 cylinder DOHC engine, 138 hp horsepower, 4 Doors, Front-wheel drive, Fuel economy EPA highway (mpg): 33 and EPA city (mpg): 25, Tachometer, External temperature display, Compass, Keyless Ignition - Doors and push button start, Tire pressure monitoring system, Daytime running lights, Dusk sensing headlights, Signal mirrors - Turn signal in mirrors, Knee airbags - Driver and passenger, Front seat type - Bucket, Rear bench seats, Intermittent window wipers, Privacy/tinted glass, Rear wiper, Interior air filtration, Clock - In-radio display, Trip computer, Video Monitor Location - Front, Speed-proportional power steering.... With our guaranteed approval program, you can drive home today in the style you deserve! New vehicle pricing includes all offers and incentives. Tax Title and Tags not included in vehicle prices shown and must be paid by the purchaser. While great effort is made to ensure the accuracy of the information on this site errors do occur so please verify information with a customer service rep. This is easily done by calling us at (317) 300-2007 or by visiting us at the dealership. 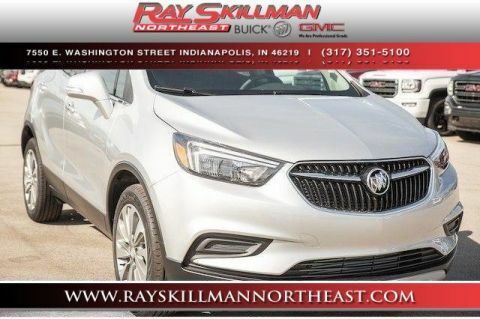 You’ll find a solution to every automotive need at Ray Skillman Northeast Buick & GMC, proud to be one of the top dealerships for the Indianapolis, Greenwood and Carmel areas. Whether you’re looking for a new or pre-owned vehicle with flexible financing options, genuine OEM parts to optimize your drive, or servicing and repairs for your current vehicle, you can find it all at Ray Skillman Northeast. We’re always excited to walk patrons through our showroom, which houses brand-new Buick and GMC models to satisfy every need or desire. 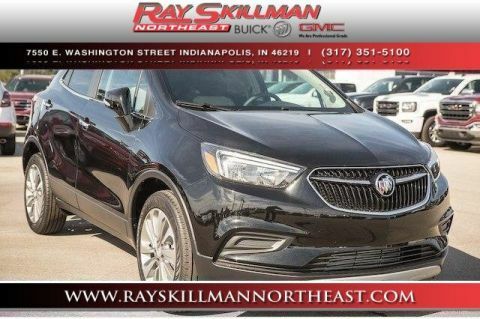 From commanding SUVs like the GMC Terrain to executive sedans likes the Buick Lacrosse, our diverse inventory is tailor-made to suit Indianapolis, Greenwood and Carmel drivers. There’s even an outstanding selection of pre-owned models. Each one is reliable, and many are available for under $10,000. Our servicing department is operated by experienced technicians who have been trained to the highest standards. Nobody understands Buick and GMC vehicles like this team, although we’re fully capable of working on cars from all manufacturers. If you need anything from an oil change to a brake repair, Ray Skillman Northeast is here for you. As for Buick and GMC parts, we offer a wide range to fit all purposes and can order specialty items for you quickly and easily. Just contact one of our team for further information. Whatever automotive requirement you need taken care of, Ray Skillman Northeast has the staff, facilities, and inventory to send you home with a smile on your face. Our showroom is conveniently located at 7550 E Washington Street in Indianapolis, so come down today! Ray Skillman Northeast Buick GMC	39.7739133, -86.0335643.